What is Effective Communication and Why Do I Need That? Blog > Useful Tips > What is Effective Communication and Why Do I Need That? Effective communication with the others is directly related to selecting the most suitable words in this or that situation. Some experts would agree that professional communication is a sort of an art and they’re right to some extent since the right word chosen in a particular situation may cause a real breakthrough in the marketplace! It doesn’t actually matter who you are – a successful businessman, who has to communicate with his employees every single day, or a college student, assigned with the task to deliver a speech – being a skilled and proficient communicator will guarantee a long-term success. Let’s take a quick look at why mastering the communication skills is a must for every individual, who is eager to increase his success rate. Even if you are perfectly aware of all the aspects about your business, the services you render and your company’s vision, it is next to nothing if you fail to express it all with the most suitable words. All the greatest businessmen in the world are known as excellent communicators. If they come up with an idea, they know exactly how to effectively share their message. Make sure to expand your growth in the marketplace by mastering and enhancing the skill of communication. One of the most precious benefits of mastering excellent communication skills is having the ability to motivate your personnel. When employees receive the right dose of inspiration and motivation through heartfelt and simple words from their leaders, they are ready to work magic for the whole company. Effective and high level communication skills will help a businessman to handle conflicts of workplace or the negative situations that may occur within the job environment. 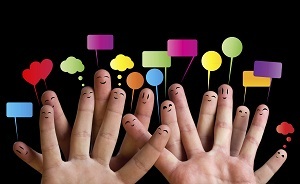 Great ability to communicate with the others helps to resolve a wide range of problems. Having professional communication skills helps to set clear expectation for the company staff and, that comes pretty unexpectedly, for the clients of the company as well. For the company employees, clearly established expectations provide them with a view on how their performance will impact the success of the company, as well as enable them to understand what they are required to do in order to achieve the corporate goals. When it comes down to the company clients, clear communication is the best tool to deal with their expectations regarding the products and services rendered by the organization. An individual, who can boast of having efficient communication skills, is a desired asset to any company. No matter what industry you’re engaged in, what career plan you have developed to keep to, learning to express your ideas in a professional manner in both – oral and writing form – will help you to reach the sky. Make certain to polish your communication skills since the leader cannot be successful if he fails to be an excellent communicator!